Nancy and I were recently informed that Monroe Wheelchair of Rochester, New York received a Democrat and Chronicle 2015 Top Workplace Award. That news was especially gratifying for us, because the company is owned by our son, Doug. Not only was Monroe Wheelchair added to the elite list of small businesses to work in Rochester, but the company also won the Ethics Award. Of all the large, medium and small businesses in the city of Rochester included in the study, Monroe was chosen to be recognized in this manner. The award was based on a third party survey which the Rochester newspaper asked every employee in participating companies to complete. A dangerous myth about business is that it is all driven by profits and greed. We forget that a majority of companies choose to be ethically responsible to their clients. Employees in an ethical business are people of integrity who do not simply put in their time and collect a pay-check. They are proud of the service or product they provide, and they treat their customers as they would want to be treated. 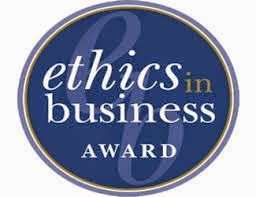 Creating Better Lives is the well defined mission of Monroe Wheelchair, and the Ethics Award acknowledges that their employees endeavor to accomplish their mission with passion, personal integrity and respect for their clients. The Bluff Point Methodist Church where Nancy and I worship lost a good friend and a devoted servant of the Lord. Cindy Heggie, the church organist and accompanist for the choir and for soloists, died at the age of sixty-six. It is a clear bright day, and I am standing with friends on a hill overlooking a picturesque New England harbor. Below us, a sailing ship spreads her white sails to the morning breeze and starts for the blue ocean beyond. She is an object of beauty and strength, and we stand and watch her until she hangs like a speck of white cloud just where the ocean and the sky mingle on the horizon. Then someone at my side says, “There, she is gone!” Gone where? Gone from our sight, that’s all. 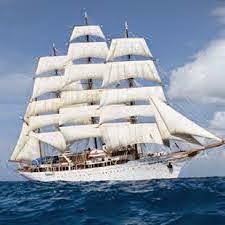 She is just as large in mast and hull as she was when she left the harbor below, and she is just as able to bear her faithful pilgrims to her destined port. And that, dear friends and loved ones of Cindy Heggie, that is dying. Those of us who knew Cindy believe she has safely arrived on that distant shore where loved ones and friends have greeted her and welcomed her to the Gardens of Paradise.